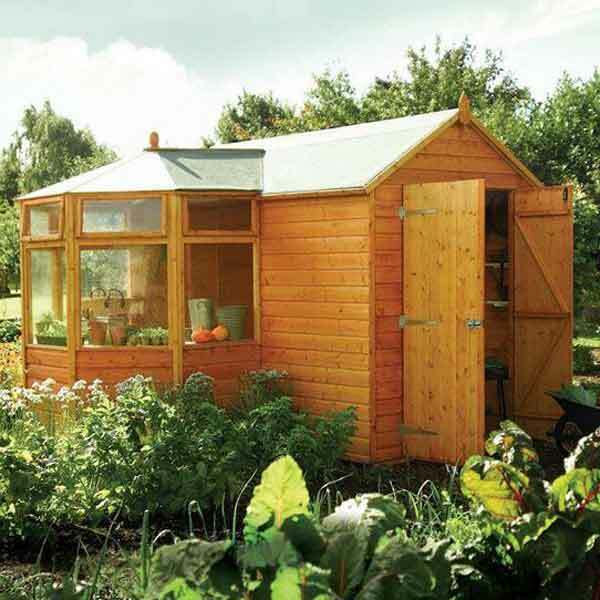 This high quality Rowlinson Corner Potting Store is constructed from 12mm shiplap cladding, 12 mm tongue and groove floor with solid board roof, ensuring this building is strong and sturdy and will last for many years. This wooden garden potting store fits into right angled corners and can be built on either the right or left hand side. This greenhouse comes with double doors with padbolt locking for your security (padlock not included) and can be positioned either side of the building. 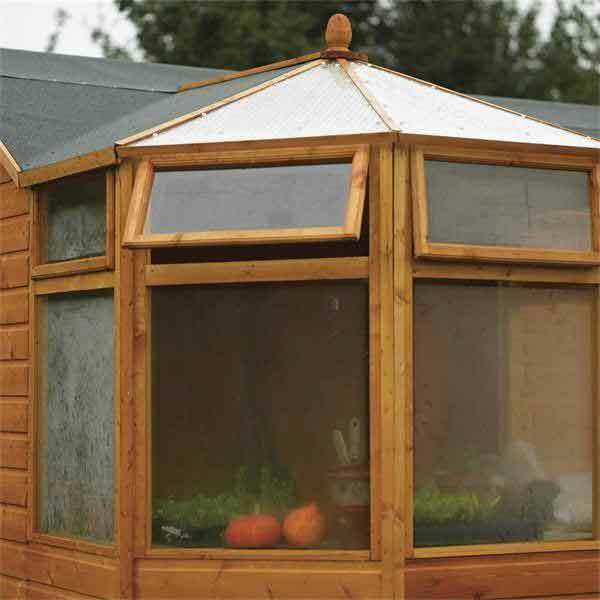 This timber greenhouse comes with seven styrene glazed windows , a safe alternative to glass with three roof panels and three opening styrene glazed windows making this garden building light and bright with lots of ventilation. 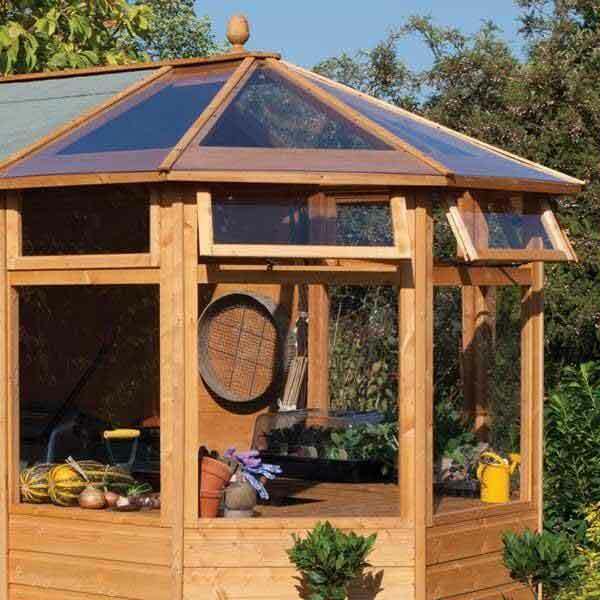 This garden potting station has a dual function with a greenhouse and a useful additional storage area, making this multi-functional garden building a great buy, this timber greenhouse comes with full instructions for home delivery.